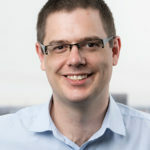 Dr. Pardy has 12 years of experience in medical statistics, beginning as a biostatistician for the NHMRC Clinical Trials Centre in Australia where he rose to be Head of Methodological Development within the biostatistics team. He has diverse experience within biomedical research including biostatistical methodology (e.g., adjusted analysis in the presence of broken randomisation schemes, effect size prediction for primary endpoints based on surrogate endpoints), gene expression data mining, analysis of large public health datasets, and bioinformatics. He has spent substantial time working as an independent statistical consultant in both academia an industry, and has also worked as part of an established statistical consulting group within the University of New South Wales (UNSW). He has consulted for a range of fields from business and finance to biomedical research at the lab level through observational studies of medical records data to large-scale prospective clinical research. His clinical trial experience includes the design and analysis of trials for all phases from small early phase studies to multinational randomized Phase IV studies with over 10,000 subjects. Dr. Pardy has more than 750 academic citations for clinical trial work in cardiovascular disease and diabetes, and his teaching experience includes postgraduate courses on Biostatistics and Clinical Trial methodology. Dr. Pardy has a PhD in Statistical Genetics from the Prince of Wales Hospital Clinical School (UNSW), MStat, and BSc (Hons) (Statistics).